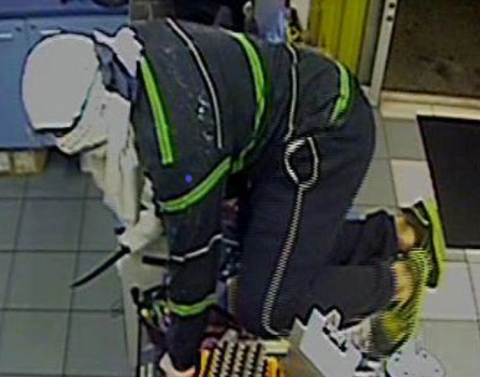 Police are investigating the attempted robbery of a convenience store at Chermside last night. Just before 9pm, a man armed with a knife entered the Gympie Road business and threatened the male employee. The man jumped the counter before the staff member was able to lock himself in a back room. The man has attempted to open the till without success and has left the store empty handed. He is described as having a medium build, olive complexion, approximately 180cm tall, wearing a white cloth covering his head, a black long sleeve shirt with aqua horizontal stripes, long dark trousers and black joggers. Investigators are appealing for anyone with further information and for two customers who were in the store shortly before the incident, to contact police.